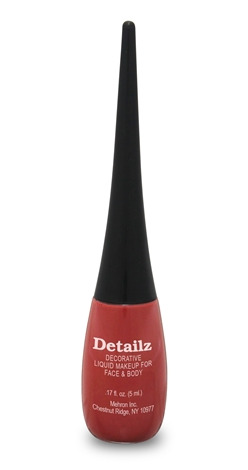 A long lasting red body or eye liner! Great triangle tip sponge for application. Great for precise designs! Seriously, once this dries, it's there ALL DAY!